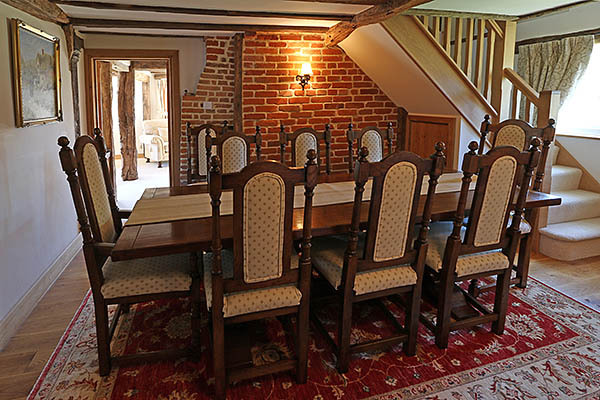 Antique style oak pedestal dining table and upholstered oak dining chairs, in the dining room of our clients old country cottage, in Kent. 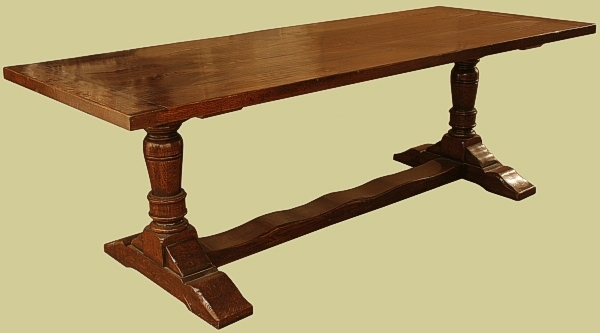 These pieces are all from our Berwick semi-bespoke dining furniture range. At our clients request, we shortened the length of the table base (not the top), to effectively give a longer overhang at each end. This enables the armchairs to be slid under further, when not in use, to allow more access around the room. Note that the chairs have had their backs upholstered both sides. The link below takes you to the option to have one side only upholstered, so please do contact us to get a quote for this double sided version.